Season 2 Episode 7: The Coopers' four bed semi in Barnet. 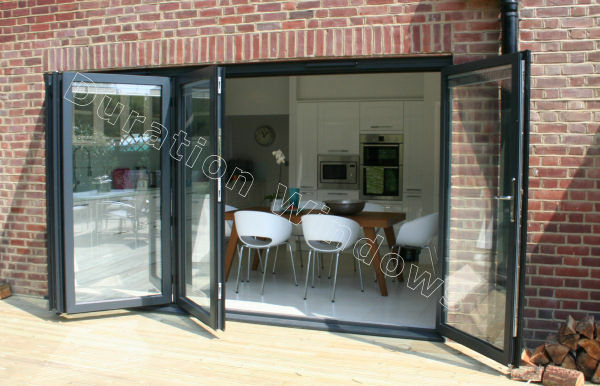 As one of the UK's largest suppliers of Bifolding/ Folding doors, we have featured on Channel 4's The Home Show. 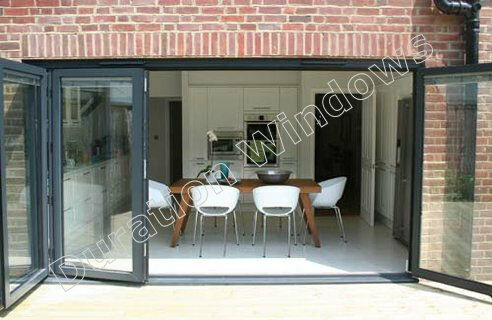 We were chosen to supply them with our Smarts Bi-folding doors. 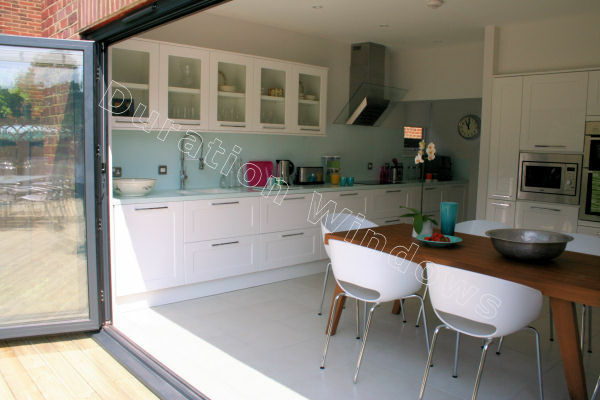 We manufactured and installed the doors in a four bedroom semi-detached family home in Barnet. The episode was originally broadcast on 23rd July 2009 at 8:00 pm. 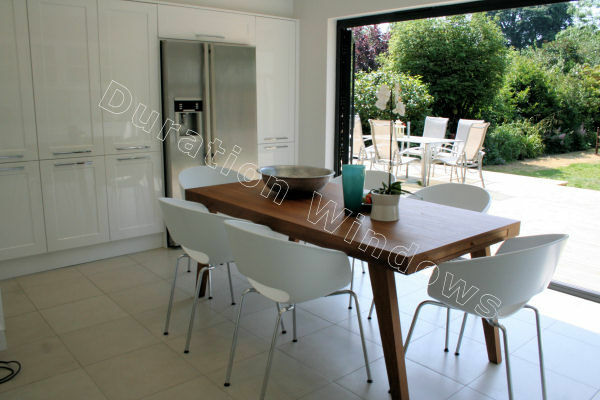 We had a great reaction from the family during the reveal of the new kitchen/diner as the Coopers were shown their new Kitchen complete with Bi-folding doors. 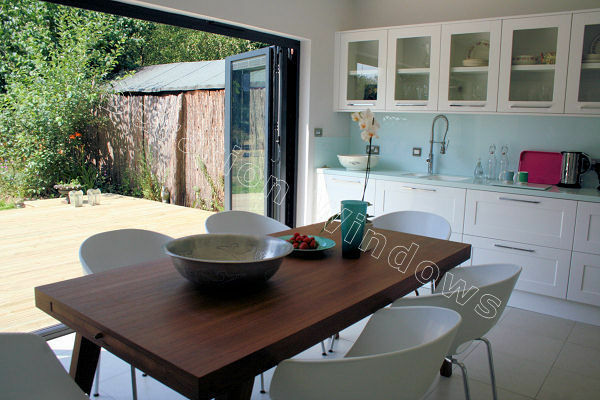 The four pane Bifolding doors which opened out into the Coopers garden also featured our integrated Blinds. 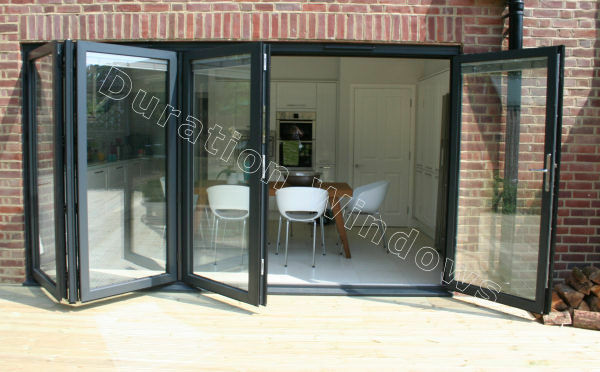 The Bifolding doors seemingly increased the kitchen space out onto the decking area, to bring the outside in. Teaching assistant Stephanie, IT consultant Paul and their kids, Oliver, Sebastian and Holly, moved into their four bedroom semi three years ago - but like many of us, they bought at the very top end of their budget, leaving nothing in reserve to create a family home. This is where the Home Show came in.